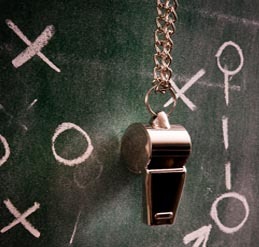 Selecting an executive coach can be both a challenging and rewarding experience. Such a decision has the potential of leading you to an unparalleled level of career success and personal fulfillment. Think this is a tall order? Feeling a little overwhelmed by the magnitude of this decision? If so, you’re not alone. Be absolutely clear about the purpose of the coaching relationship – Is it to improve declining performance, to enhance interpersonal skills, to manage the transition from a new promotion, etc.? Select someone you feel comfortable with and trust – Having a positive working relationship with your coach is crucial! Clearly identify your expectations for the coaching program right from the start. Outline in a contract the length of the coaching program, the associated fees, and the intended results. At the beginning of the coaching program, use reliable and valid personality inventories and 360-degree leadership effectiveness surveys to gather specific feedback about your performance. Make sure your coach uses the results of these surveys to prepare a customized feedback report and suggest specific solutions to meet your individual needs. Be grateful for all positive (and constructive) feedback you receive – Feedback from your co-workers and coach is a gift, so be thankful! Create a personal action plan that addresses any improvement opportunities and outlines the key focus areas for the entire coaching program. Make sure the personal action plan includes specific developmental activities to enhance your existing skills. Clearly define the goal for every coaching session and make sure that it is aligned with your personal action plan. Establish a regular meeting schedule including both face-to-face and conference call sessions as appropriate. Develop and implement a simple monitoring system to track your progress and ensure your coach helps you achieve your goals. Require your coach to return all voicemails and/or e-mails from you within 24 hours – if not sooner. Make sure your coach is willing and able to push you beyond your “comfort zone” – Your coach should not be afraid to help you develop new skills, even when they are beyond what your perceived limits might be. Ask your coach to provide additional support by connecting you with any other resources that can help you achieve your personal learning objectives. Insist on a very strict code of conduct regarding the confidentiality of your conversations and developmental goals. Can Plus Delta help you improve performance through leadership excellence? To learn how you can be more productive and produce even better results by selecting an executive coach, give us a call at +1 (310) 589-4600 or send an email to info@plusdelta.net.